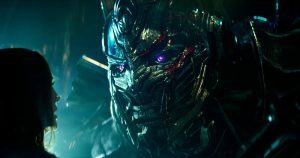 So the latest trailer has been released for Transformers 5 or ‘Michael Bay’s Transformers: The Last Knight’ to use its full title. So I thought I’d write a little piece with my initial reactions. Now, say what you will about the Transformers movies but they are what they are. No-one’s going to these things for Oscar winning writing and Shakespearean acting. We’re five movies in and if you’re still going in expecting the next Dark Knight or Terminator 2, then you’re a lost cause and you’re only watching these movies to bash them. Not that there isn’t a good case for tearing them apart and I’m right there with you on some of those points, but on the other hand, I get a kick out of these movies. With a few notable exceptions, the point of a big summer tent pole movie is not to make you think. It’s to make you switch off your brain and be entertained by some awesome visuals which you mindlessly stuff popcorn into your face. That’s why they call them ‘popcorn movies’. Now onto the fifth instalment of this much-maligned, yet still profitable series. The trailer starts with some medieval imagery as we’ve seen in previous trailers with Anthony Hopkins providing voice-over. I love that they’re continuing a theme of sorts. 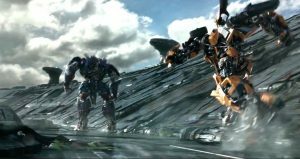 Age of Extinction dabbled with the idea of knights and the while we didn’t see them onscreen, the Dinobot’s robot modes were designed to be reminiscent of medieval knights. Just look at the toys from that film for evidence. At the end of that last film, we saw Optimus Prime cranking out a bit of Buzz Lightyear action and shooting off into the stars to find his creator. Well it looks like he found them. We get a brief glimpse of one having a chat with him in this trailer and, good news, it looks like a Quintesson, albeit one with a slightly updated design. But the tentacles are there and that’s good enough for me. Obviously one of the big things people are talking about with the trailers for the movie is Prime going all Dominic Toretto and turning on his allies (yeah I snuck an FF8 reference in there). This trailer gives an inkling why with the line, “for my world to live…yours must die”. Oh my God, Optimus. What are you doing? After four years of Prime being a bit of a sanctimonious bore (but a badass one), it’s going to be so good watching him go bad. We all know he’ll turn good again ready for the climax but until then, that’s one of the things this movie has going for it. It’s mixing it up a bit and five movies in, which can only be a good thing. Another thing that I really like is that this one seems to be tying the Wahlberg movies into the earlier ones with the reappearance of Josh Duhammel. He was one of my favourite characters in the first three so it’s great to see him back. Obviously the story will revolve around Human characters again. I don’t have a problem with that so long as it remains reasonably grounded. That’s one big grumble with earlier films (especially ROTF). The Human characters all seemed to be slightly insane. 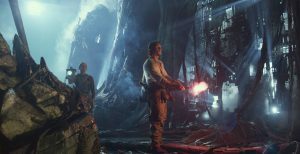 Age of Extinction took a big step in making the Human’s more bearable even if their situations and characterisations still seemed a little silly. The addition of the great Sir Anthony Hopkins can only help in this instance. 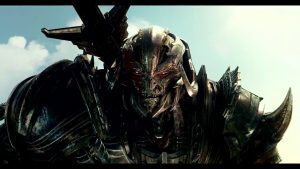 Now besides Pissy-Pants Prime, this trailer presents us with some other threats to the well-being of our lovely little planet. We glimpse yet another redesign of Megatron. I have to say, I totally approve of his new look. He looks like he just leapt off of the cover of a Motorhead album. What a fantastic redesign. I can’t wait to get the action figure. We’re also treated to some massive thing attacking the world. No confirmations that I’m aware of but could we be looking at Unicron? This is purely speculation but could we be seeing a kind of Silver Surfer/Galactus type relationship between Prime and the eater of worlds. There is a shot of Megatron punching Prime clean across the face. At first, I was thinking Prime returns to the light side at the end and has a showdown with his old foe. What if, in fact, Prime is the emissary of Unicron and the Decepticons and Autobots team up against a common foe and that’s what we’re seeing when Megatron wallops Optimus. As I said, pure speculation. And this from a guy that hates fan theories. As is the standard for one of these Bayformer movies, the screen is filled with explosions, action and attention-grabbing special effects and for the most part they look great. The human cast looks to be thinned down this time if the trailers are anything to go by. 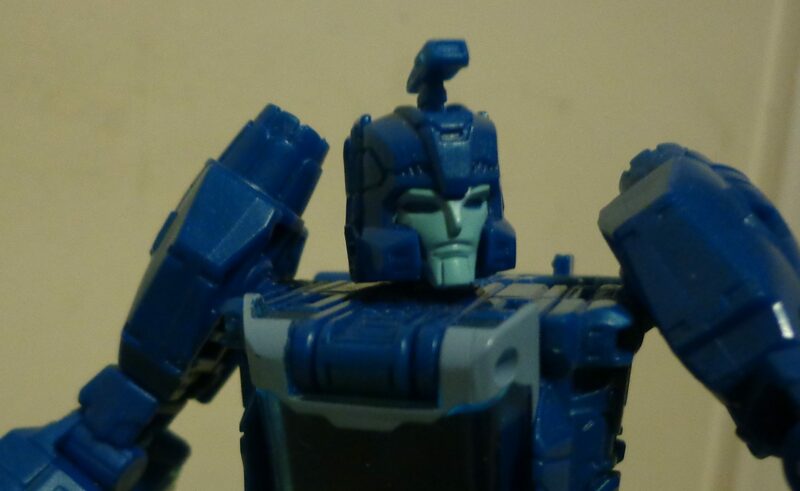 With a bit of luck there will be more time to develop some of the Cybertronian characters especially with the return of Hound, Grimlock and Crosshairs. And of course, Bumblebee’s back and hopefully this time he’ll be talking cos I’m getting bored of the whole cute mute act. There were a lot of things in the trailer that I haven’t mentioned, so I’ll open this up for discussion. What do you want to see in this movie? What do you think of the new character designs? Have a look at the trailer below. Let us know what you think and leave a comment.